Clean Energy Partnership between Turkey and the U.S.
Argonne National Laboratory, Chicago, IL. A memorandum of agreement between Turkey and the USTDA outlines a clean energy partnership that will advance key objectives of the Obama administration by reducing carbon emissions and developing advanced renewable energy technologies. The project includes training for Turkish officials in Argonne’s energy planning and modeling tools to support long-range energy supply and demand projections while improving and diversifying energy use, developing renewable energy and reducing carbon emissions. Argonne has worked with Turkey over the last 18 years on a series of complex energy and power modeling issues funded by the World Bank and the United Nations Development Program. Conzelmann heads Argonne’s Center for Energy, Environmental and Economic Systems Analysis (CEEESA), which develops models to analyze energy, environmental and economic issues. The models created by CEEESA are used to inform decision makers about large-scale energy deployments and address today's energy and environmental problems. CEEESA has trained more than 1,300 experts from more than 90 countries. CEEESA works with power companies, consulting agencies and governments around the world, including the U.S. Department of Energy, the U.S. State Department, the U.S. Agency for International Development (USAID), the World Bank, the International Atomic Energy Agency (IAEA), the USTDA and various state agencies. Argonne National Laboratory seeks solutions to pressing national problems in science and technology. 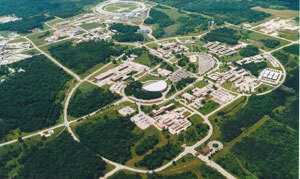 The nation's first national laboratory, Argonne conducts leading-edge basic and applied scientific research in virtually every scientific discipline. Argonne researchers work closely with researchers from hundreds of companies, universities, and federal, state and municipal agencies to help them solve their specific problems, advance America 's scientific leadership and prepare the nation for a better future. With employees from more than 60 nations, Argonne is managed by UChicago Argonne, LLC for the U.S. Department of Energy's Office of Science.